Shock ‘exclusive’ claims fan-favourite looks set to leave following talks with Rafa Benitez – NUFC blog – Newcastle United blog – NUFC Fixtures, News and Forum. 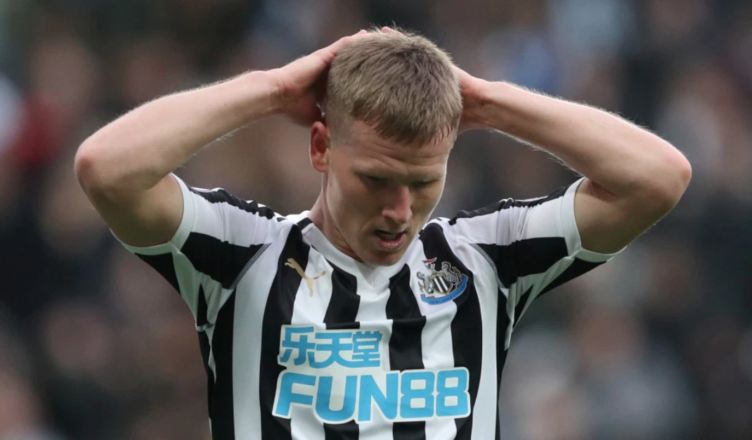 Rafa Benitez has told Matt Ritchie he’s free to leave Newcastle this summer according to an exclusive from the Sun’s David Coverdale. The North-East reporter claims that he’s had a request for a contract extension REJECTED by the club, with Rafa Benitez informing the 29-year-old that he would not be granted a new deal ‘because of his age’. As a result, it’s now claimed that Rafa’s given Ritchie the green light to find another club this summer in search of one last payday. ‘MATT RITCHIE has been told he can leave Newcastle this summer – after having his request for a new deal rejected. ‘SunSport understands the Toon winger met manager Rafa Benitez for talks over his future last week. ‘During their discussions, Ritchie, who turns 30 in September, asked about an extension to his current contract which expires in 2021. ‘But Benitez informed the Scotland international he would not be given new terms because of his age. ‘And the Spaniard then gave Ritchie the green light to look for another club – if he wanted to try and secure one last bumper deal. Ritchie has shown his limitations as a winger at Premier League level over the past two seasons, being moved into a left wing-back role as a result, but his work rate, passion and experience is invaluable. Not only that, he’s actually done a brilliant job in a new role at wing-back, reinventing himself as a player and fitting into Rafa’s new system well. One thing that can’t be forgotten, however, is the fact Benitez seemed willing to let him go last summer if it enabled to return of Andros Townsend. With several senior players at risk of leaving as it is (Rondon, Shelvey, Hayden and Diame to name a few), losing Ritchie would leave another big hole to fill.